Cord tying is mechanism of protection to help you better manage your emotional, mental, physical and spiritual energy. Cords are energetic strands of energy that form consciously and unconsciously with people and objects regardless of time and space. The first cord that is ever created is the one to our mother when we were conceived, then at birth our umbilical cord is severed and we begin a life of establishing invisible yet potent energy cords with the world that surrounds us. 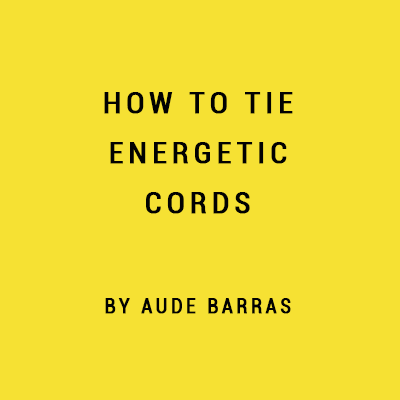 Awareness of your cords is an important tool that can help you better understand your relationships to yourself, others and the world & cord tying is a simple yet profound technique to protect and manage your energy.